Android smartphones get more popular with every new day. 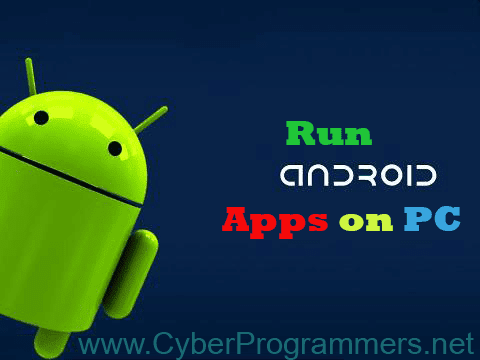 There are a lot of apps for Android devices and some of them are important for us. So what if we want to be run that app on our PC/Laptop without any difficulties. That's possible to run android apps on your computer. For that just follow to next steps. 1) First of all, we need to open this website. 2) After download finished, you need to simply install that software on your computer. 3) When the installation process is finished it will automatically launch the app. 4) Now you need to complete one-time setup. Simply enter your Gmail account credits to enable the Play Store. Now you can see familiar to you Android device screen. You can now install apps and enjoy them on your PC/Laptop. Mikayel Aleksanyan 20 years old computer programmer, CEO & Founder of Cyber Programmers. He will share his technology knowledge with blog/website readers. In his own words, he was "addicted" to technology and can't imagine his life without it. Mikayel likes mathematics as well as he needs for programming, to write a code. "I like programming because with code I can create my own world".